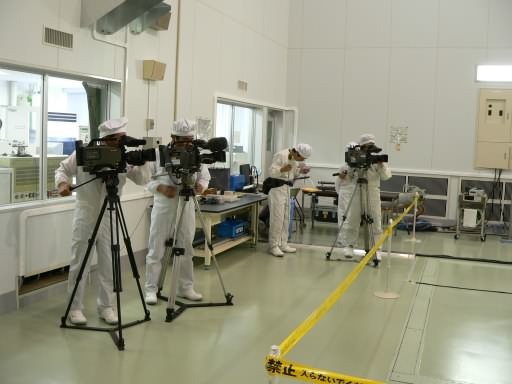 On June 14 and 15, we performed the final inspection and maintenance of the Astro-E2 satellite. Photo 1 shows a visual inspection of the solar array paddles. Since this is the final inspection of the satellite which we brought with tender loving care, it was done with special care. 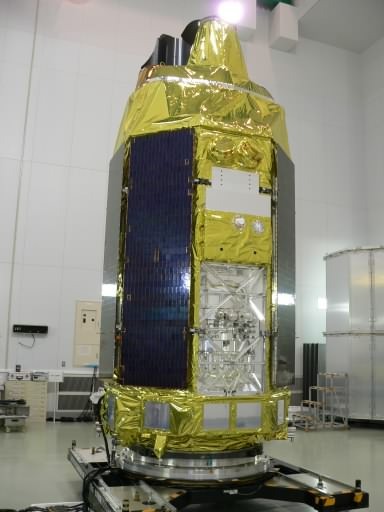 Photo 2 is the Astro-E2 satellite after all the inspection and maintenance, except for fuel and cryogen filling. 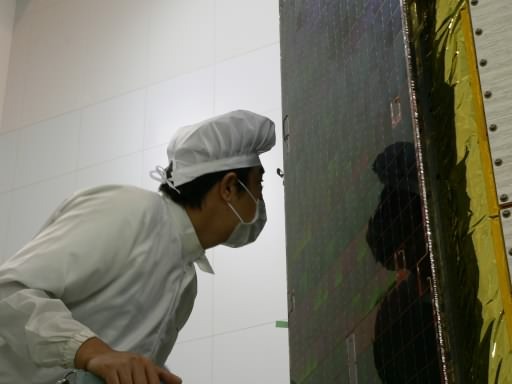 In the afternoon, the satellite was released to the press (Photo 3). From tomorrow, we will start connecting the satellite with the third stage of the M-V rocket.